Valentine's Day can get expensive. The biggest modern tradition behind the holiday is handing out cards in primary school, shortly followed by lavishing your sweetheart with expensive gifts or experiences. But Valentine's Day doesn't have to bust the budget. 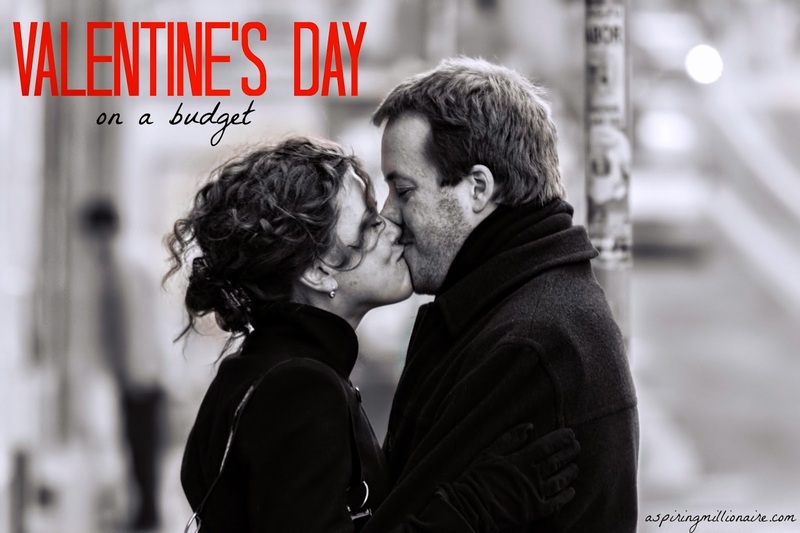 Check out these wallet-friendly ideas to keep the romance alive without going broke. 1. Go on a Getaway...For Free. Who doesn't love a romantic getaway? Beaches, travel, or even just a fancy hotel with a fancy restaurant downstairs are sure to make any companion swoon. But getaways can be expensive. Lower or even eliminate their costs by using credit card rewards. Know yourself before you take this route, but if you're responsible with cards you can score cash back on your normal purchases, stays at hotel rooms, or even airfare to take Valentine's Day to the next level. Another common Valentine's gift is a spa basket. The costs of these baskets are typically over the top, especially this time of year. You could, instead, make your own. There's no shortage of DIY recipes for bath products online, and a lot of them are inherently greener and healthier than what you'd buy at the store. Being terribly romantic doesn't have to cost an arm and a leg. Have a history with your partner? If so, odds are you'll have a plethora of memory-filled places around town. Pick some of your favorites (and, of course, theirs.) Think up clever clues to get them to guess where you'll be going next. Then you can either hand them the next clue when you arrive at your destination, or plan ahead and hide it somewhere at the destination itself. Keep the most epic location for last, and all you'll have an unforgettable date, having spent money only on petrol/public transport. One of my husband's favorite Valentine's Day gifts ever was a letter I wrote to him. We had scored free tickets to a movie screening on February 14. After the film let out, I handed him my card. It wasn't fancy. It was a Word document I had printed from our home computer. I told him all the reasons I loved him, all the memories I valued, and all the things I hoped for us as a couple in the future. Throughout, I had inserted pictures that went along with those memories, each one serving as a segway to the next. Love cannot be bought. If you have to drop a lot of money on someone to satisfy their wants this Valentine's day, odds are they aren't the one. But that doesn't mean you can't do anything for them. Get creative and give memorable gifts that mean so much more. I think I love #3 more than anything. I kinda of want to do that! Wonder if I can swing it by the date. Ohhh I hope you can! I'd love to see a Portland romance recap!